The new high of land prices in Phuket, the most famous resort destination in Thailand is at Patong Beach valued at USD 5,040 per sq.metre. 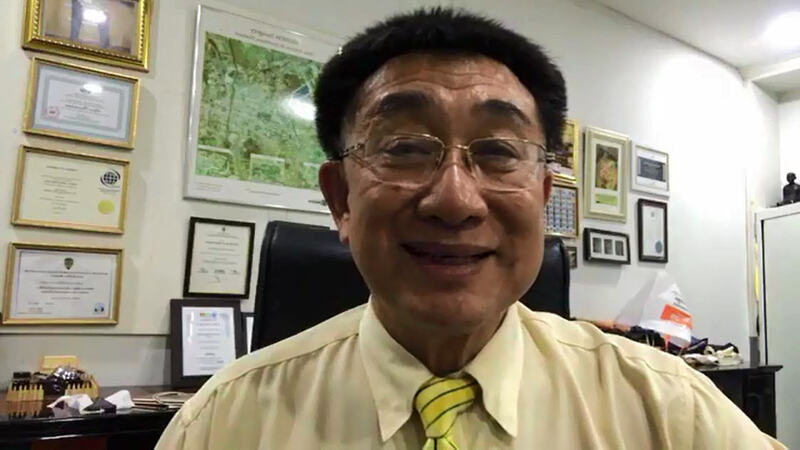 Dr.Sopon Pornchokchai, President, Agency for Real Estate Affairs (AREA) as the largest real estate information centre in Thailand said that his AREA's manager of the South, Mr.Sanya Nakbutr and his team recently updated the survey of land prices in Phuket and found that the value was as high as USD 5,040 per sq.wah or Baht 250 million per rai (one rai is 1,600 sq.metre) or USD 468 per sq.foot at the area of Patong Beach, west of Phuket. This value was a lot higher than the government assessed value which was assessed at USD 1,613 per sq.metre or only 32% of the estimated market value as of Mid 2018. In Thailand the government assessed value tended to be somewhat lower than the market value. However, there is no A/S Ratio between the assessed value and sale price. It could be 10-90% below the market value. The assessed value was used only for taxation purposes. Compared to Bangkok, AREA found that market value of land in Bangkok was as high as USD 17,742 per sq.metre or USD 1,648 per sq.foot at the area of Siam Square, Chitlom and Ploenchit long the Bangkok Mass Transit System (BTS) Sukhumvit Line. The most expensive land value in Phuket was still only 28% of the value in Bangkok. 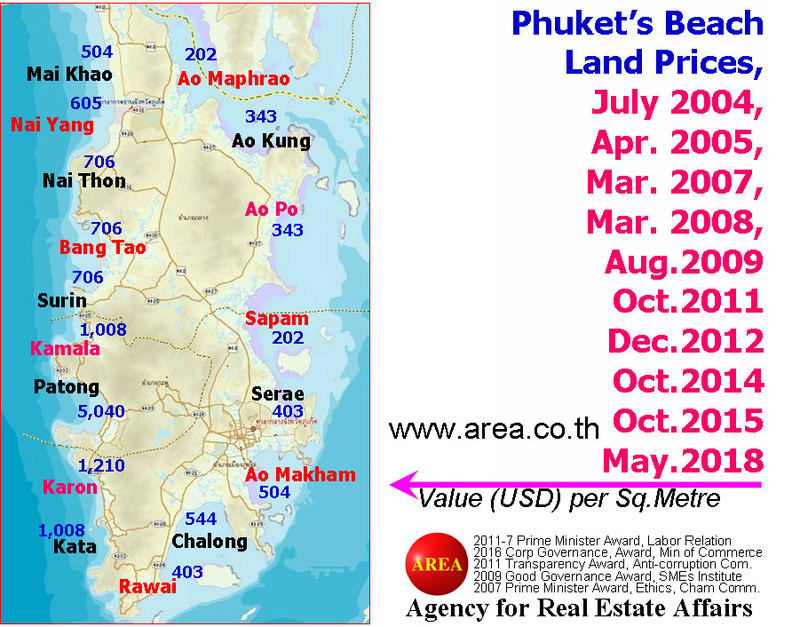 AREA has conducted this survey since mid 2004 and found that land value at Patong Beach was only USD 806 per sq.metre. It became USD 5,040 in mid 2018. This implied that during the past 14 years, land value at this beach was increased at a compound interest rate at 14% per annum. In 2015, Patong land value was USD 3,629 per sq.metre with a 39% of increase or on the average 11.6% increase per annum. The 2004 Tsunami was on December 26, 2004, land value in Phuket was stagnant during that period. However, in the next year, it started to go up again. This implied that natural disasters did not have significant effect to land value. Land value was stable on the west coast of Phuket; whereas, on the eastern side of Phuket where Tsunami did not hit, land value was increased. However, beaches on the east coast were not as beautiful as those on the west coast facing the Andaman Sea. 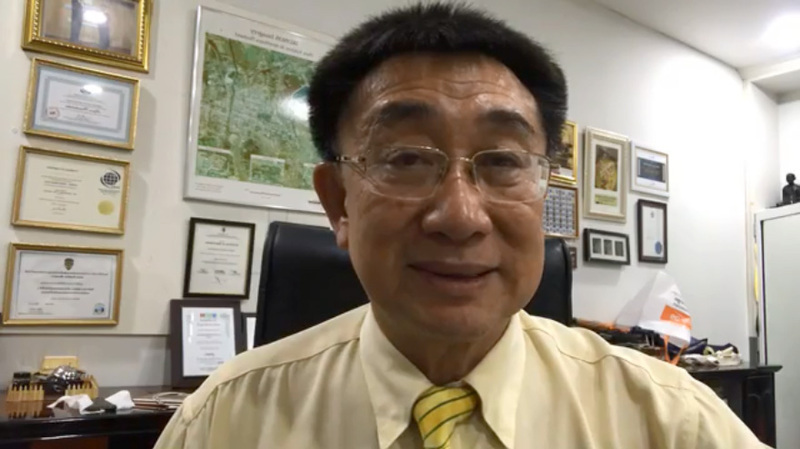 The increase in land value in Phuket was not directly related to Thailand's economy. It depended on tourism instead of local economy. Actually, there were three areas in Thailand where land value grew independently, namely, resort destination like Phuket, border cities where border trades prevail and industrial towns to produce goods for export purposes.